This book investigates how policy, family background, social class, gender and ethnicity influence young people's post-16 and post-18 employment and education access. 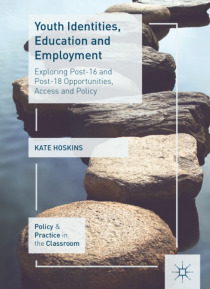 It draws on existing literature, alongside new data gathered from a case study in a UK state secondary school, to examine how policy changes to the financial arrangements for further and higher education and the changing youth employ… ment landscape have had an impact on young people's choices and pathways. Hoskins explores a number of topics, including the role of identity in young people's decision-making; the impact of changes to young people's financial arrangements, such as cuts to the Education Maintenance Allowance and increased university fees; and the influence of support from parents and teachers. The book will be of interest to students and researchers of Education and Sociology.